really work on the blog, post content, drive traffic and be active on social media. 1. Providing Original Contents: The more contents your site have, the more people get involved in it and as well search engines. The traffic in return brings clicks to the site that earns you some cents and in a accumulation, you earn good income. This could be faster if you are a full time blogger who can write multiple times a day. 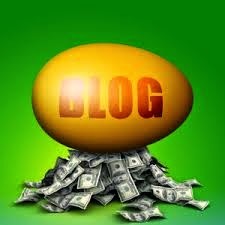 If you new into blogging and you really want to make money from it, then you must be ready to write useful contents frequently. 2. Facebook Ads/Google Adwords: If you want to earn fast money through your blog, then you must be ready to spend on advert. The best form of online adverts remains Facebook ads and Google ads. This advertising media ensure your site goes viral to thousands of people on their network but your money counts here. The more money you invest, the more the site get views and clicks. 3. Best Affiliate sites: If you are using Facebook advert or Google adwords to boost your site, then you must get your money in return by registering with reliable affiliate site or cost per action site. You not just spending money for traffic here but also gaining money through the sales or leads from the traffic you get. 5. Search Engine Optimization (seo) : This is a very wide area of blog or web development which helps search engine fall in love with your blog for traffic. Search engine optimization is a great tool for any blog or website that want popularity. It varies based on any platform you want to use which may be either blogger or WordPress. If you cant do this, then seek help from professionals or blogging expert who will help you out or you buy some search engine optimization manual to help.